One of the earlier posts described how disposable/temporary email addresses can be generated that can prevent spam. Bloody Vikings! is a cool Firefox add-on that will quickly create these disposable email addresses whenever filling out any form that asks for email during registration. 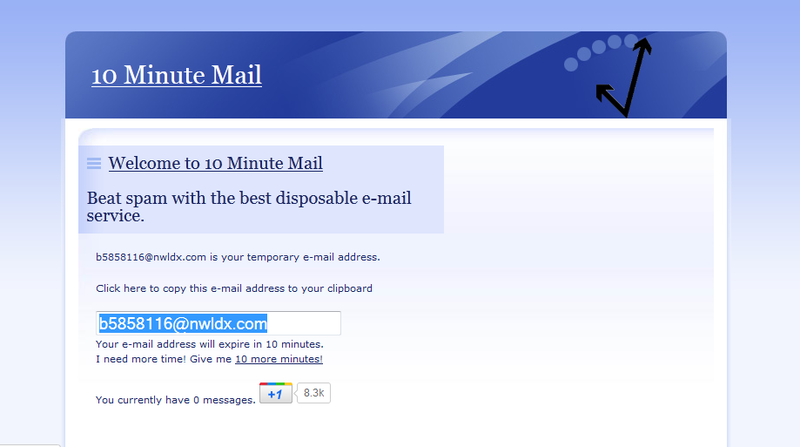 It does this by using the 10-Minute Mail service described in earlier post. 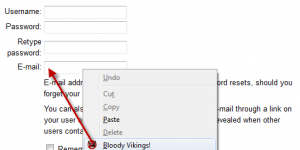 1.Click on “Add to Firefox” for Bloody Vikings to download and start the installation process. Get it from here. 2. Once installed, it can be brought up by simply right clicking the email address field when registering or filling a form where you prefer to use a disposable email address. 3. 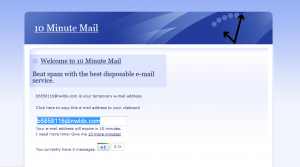 This will open the 10 Minute Mail window and display the disposable email address generated, simply copy it back to the email field for the form to be filled. 4. To see other options for Bloody Vikings, select Tools > Add-ons and click on Options. Oh this is great. I usually use malinator but this is even quicker.